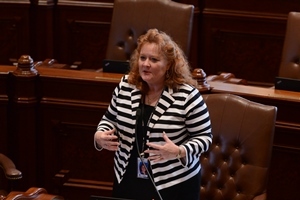 SPRINGFIELD- State Senator Laura Murphy (D-Des Plaines) issued the following statement after she voted to support a two-year property tax freeze. The package proposal, made up of Senate Bills 482 and 484, passed the Senate with bipartisan votes of 38-11-9 and 37-11-9, respectively. “The number one complaint I hear from my constituents is the skyrocketing property taxes are forcing them out of their homes, and they have requested action by the legislature to stop this trend. “Today, I am proud to stand with my colleagues, and even some Republicans, who supported freezing property taxes. This bill is a start to long overdue property tax relief to homeowners in the Northwest suburbs. SPRINGFIELD- The Illinois Senate passed a package of bills today that included over $3 billion in cuts, money-saving reforms and new revenues to produce a balanced budget. State Senator Laura Murphy (D-Des Plaines) supported the package and released the statement below following the vote. “For the first time in over two years, this budget finally provides stability to a state that has been lurching from one crisis to the next. “Until our state has the certainty of a balanced budget, students will continue to flee the state and universities and community colleges continue to crumble. People that use services for developmental disabilities will continue to fear the services they depend on will be eliminated, and businesses will continue to take their investments elsewhere due to the state’s instability. SPRINGFIELD- State Senator Laura Murphy (D-Des Plaines) released the statement below after a series of initially bipartisan bills that would have resulted in a balanced budget failed to advance through the Illinois Senate. “For months, our caucus has been negotiating with Senate Republicans toward a balanced, bipartisan budget. Unfortunately, recent actions this week prove the Senate Republicans are refusing to compromise as they failed to support the bills in the Grand Bargain. “This budget package included money-saving reforms and $3.8 billion in cuts, largely proposed by the Republicans. It would have provided vital funding for universities and community colleges, services for those with developmental disabilities and given stability to the state’s business community. This was a step to a balanced budget for the state. SPRINGFIELD- Group home workers who care for Illinois residents with developmental disabilities are among the lowest paid workers in the nation, and the agencies are facing employee vacancy rates of nearly 25 percent. This week, the Illinois Senate passed Senate Bill 955 that should help solve these problems. 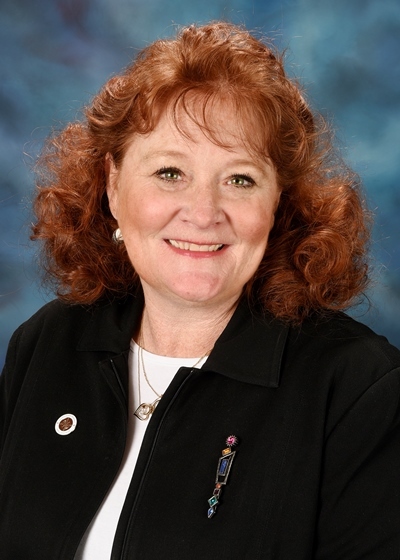 Senate Bill 955, supported by State Senator Laura Murphy (D-Des Plaines), raises the wages of these workers to $15 an hour. Currently, the starting wage for workers is only $9.30 per hour, leading to high turnover rates and making it difficult to attract qualified applicants. “These workers cook, clean and care for the residents of the group homes. They deserve a living wage to provide for their own families,” Murphy said. 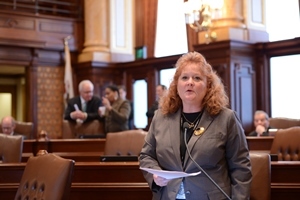 The legislation passed the Senate with a bipartisan vote of 36-20 and will now head to the Illinois House for consideration.